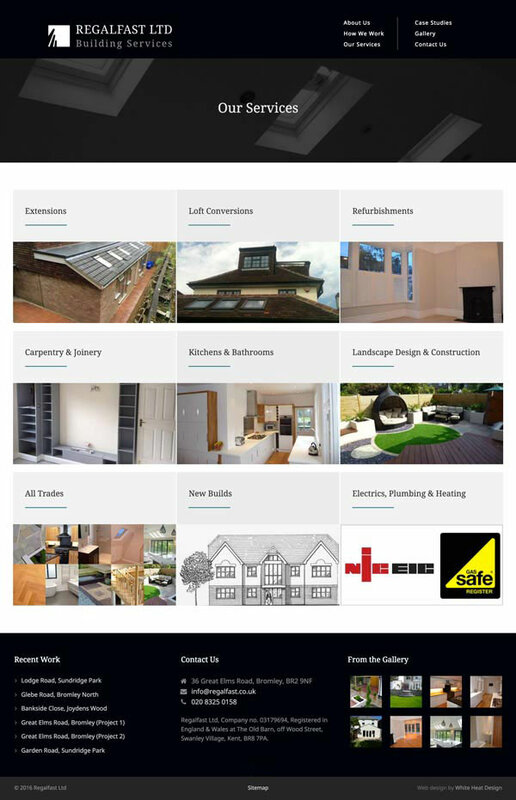 Regalfast Ltd are a high-end building and construction company operating in the South East, run by Shelley and Rick. 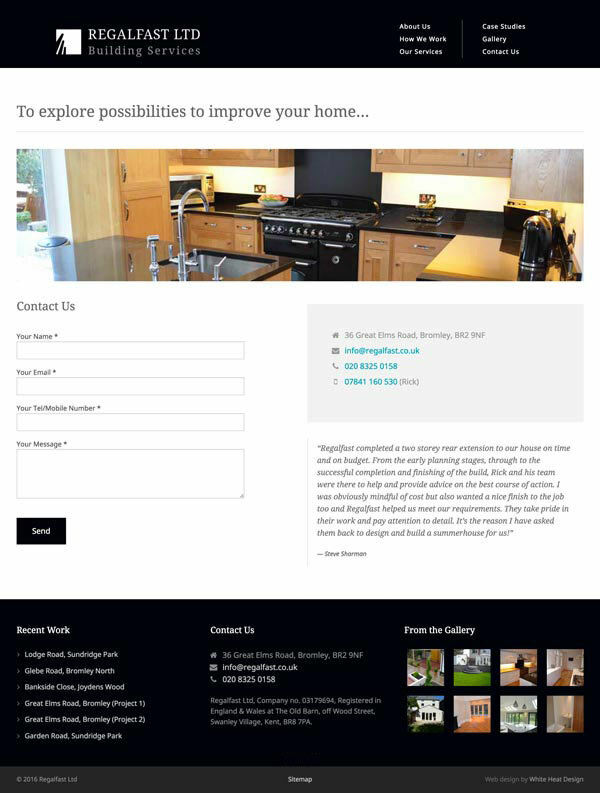 When they came to us they had no website and relatively weak branding. We were tasked with fixing both. 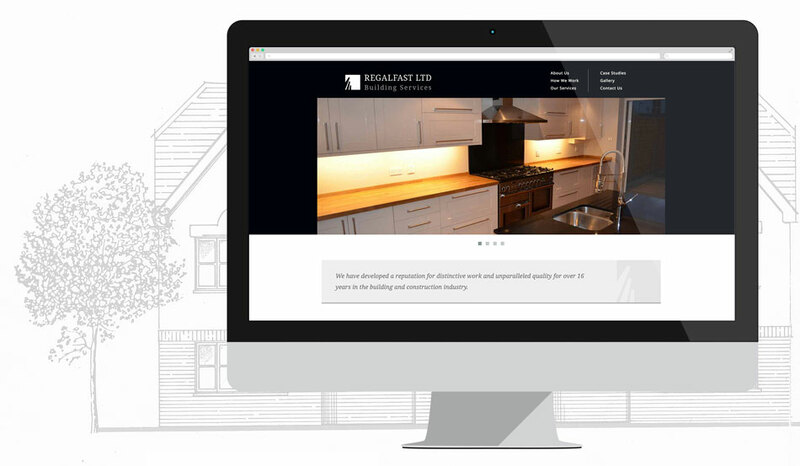 The primary objective of the website was that it needed to function as a central repository for Regalfast’s work so they could showcase their projects to prospective clients. 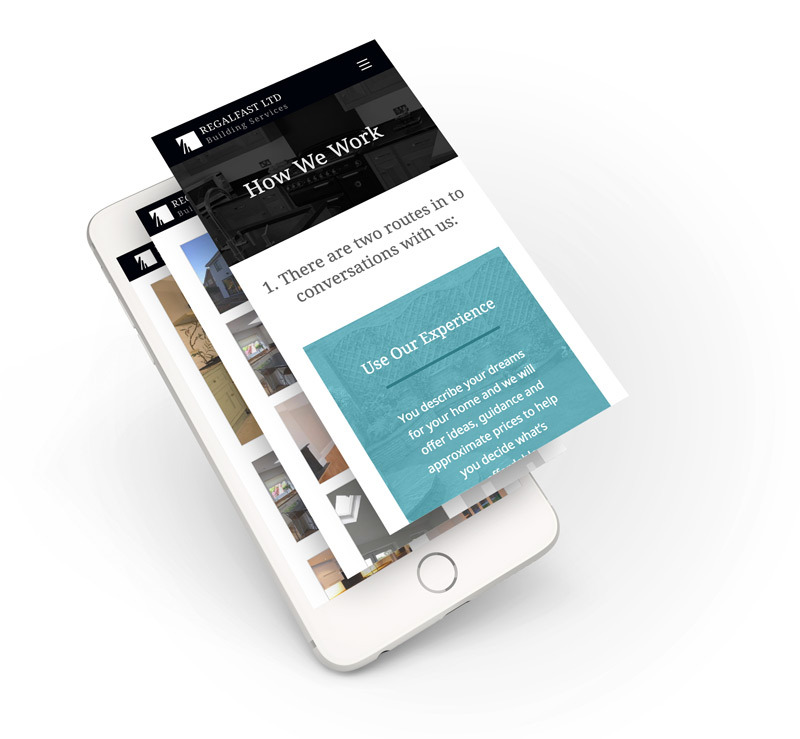 It would also need to house multiple inspiration galleries to help clients get an idea of what work Regalfast could carry out. The logo we designed plays on multiple themes associated with building and construction – columns, scaffolding and towering buildings. We used a negative space effect to achieve the 3 pillars of the logomark and matched it with a smart, uppercased font for the brand name. 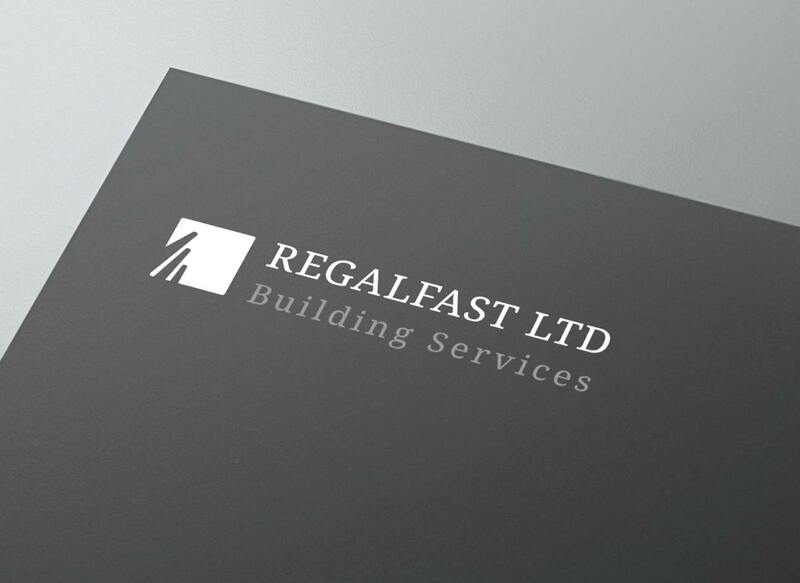 This is accompanied by the words “Building Services” to remove any doubt as to what Regalfast actually do. As Regalfast work predominantly on high-end and prestigious projects, we opted for a classic, timeless black and white colour palette. 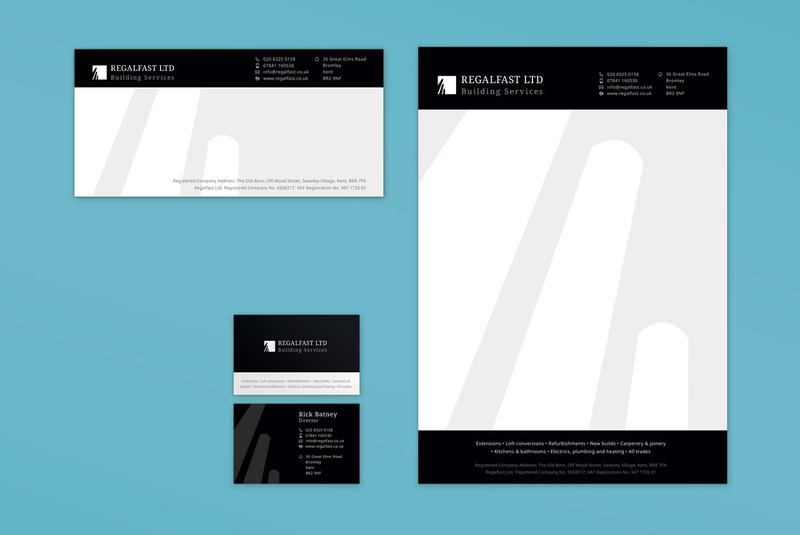 This allows the logo to be used just about anywhere and the colours can simply be reversed if used on a darker background. The Regalfast website contains a lot of imagery. 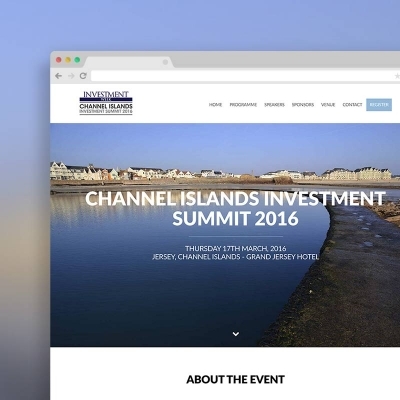 All of the photos are from projects undertaken by the company and we embedded these into the design throughout. 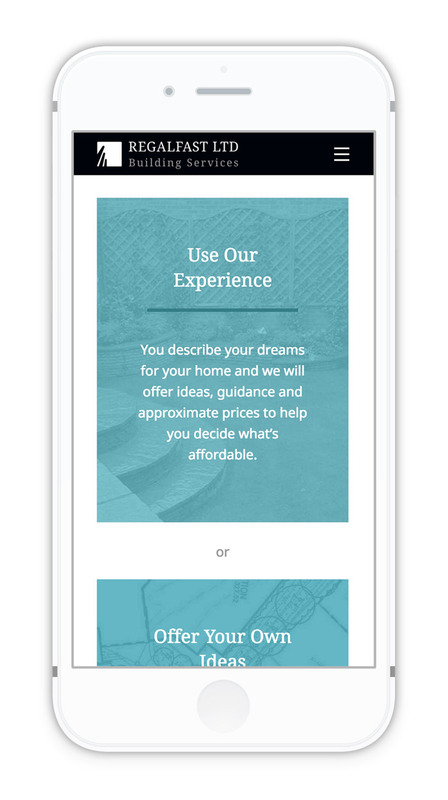 We also used a subtle image fading technique to some elements to give the site a professional, cultured feel. 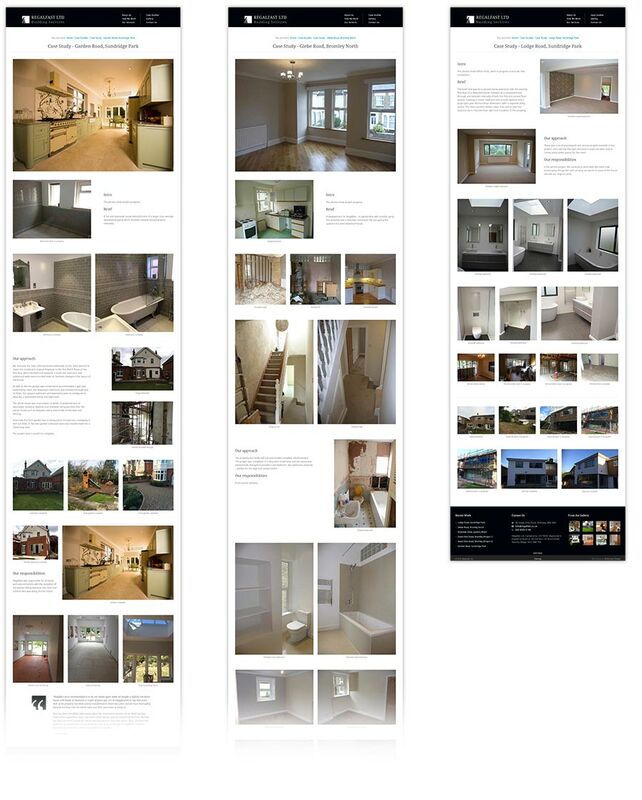 Below you can see screenshots of some of the key pages. 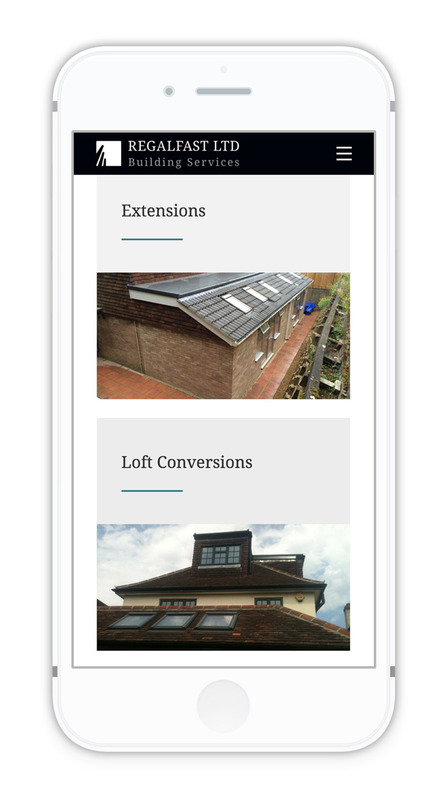 Here you can see some examples of the case studies we put together using the page builder. 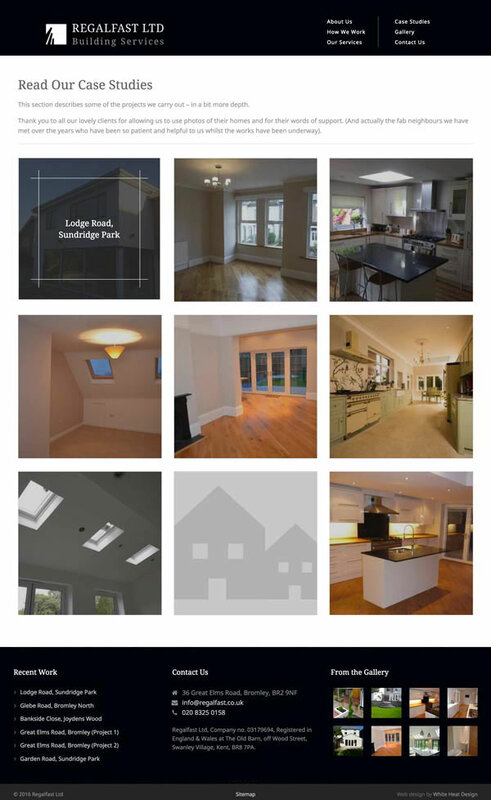 The case studies allow for images to be opened up using a lightbox effect, so they can be seen in detail at larger sizes. 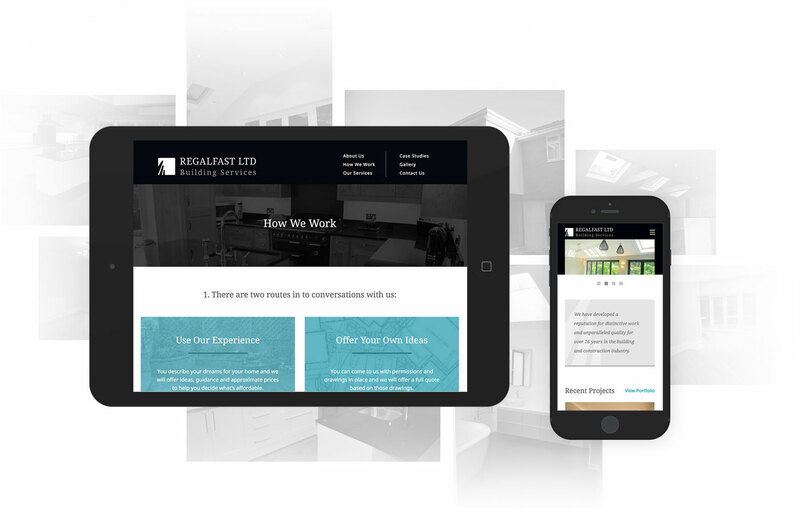 The Regalfast website is mobile responsive and adapts to all screen sizes so users can view it from anywhere. 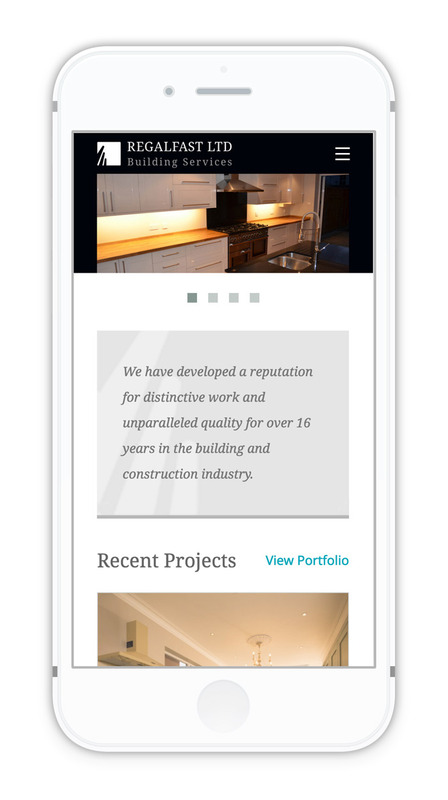 This also means that all content available on the desktop version of the site is also available on mobile, allowing users a seamless experience. 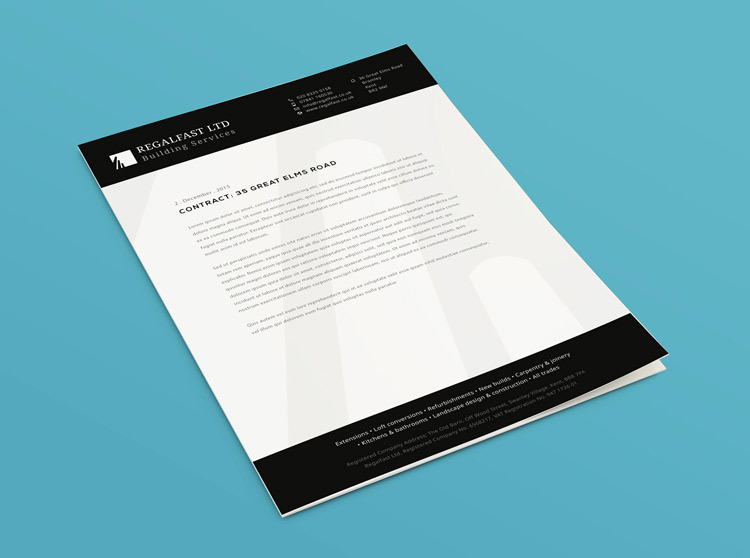 Once the logo and design guidelines had been established, we set about creating some branded stationery to help Regalfast offer a credible and professional image whenever they come into contact with clients. 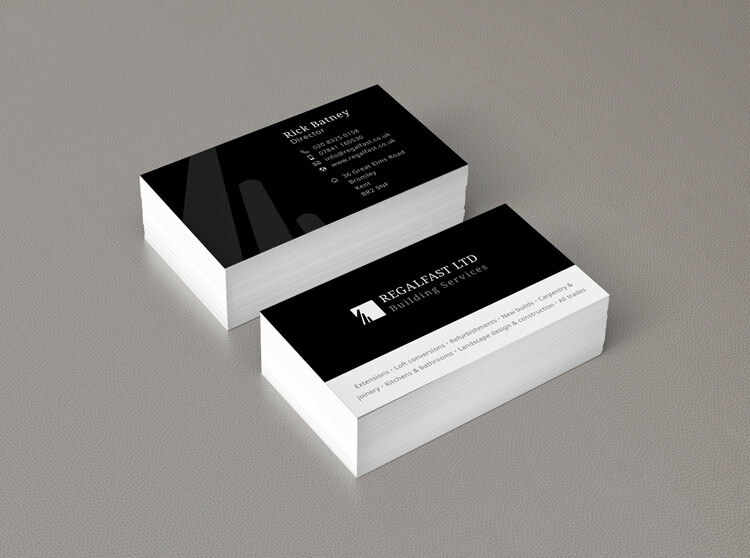 We created matching business cards, letterheaded paper and compliment slips, all using the same black and white colour palette.